Oh Eddie, you had me at I wish. “I wish I was the souvenir you kept your house key on.” Sigh! “I wish I was the pedal break that you depended on.” Swoon! You see, I wish I could iron your flannel shirts all day while staring into those baby blues, Mr. Vedder, but since that’s about as likely as me moving to Seattle (and you giving up that rock star thing), I’ll settle for listening to my favorite love song, “Wishlist.” From Pearl Jam’s “Yield” back in ’98, it’s a song so simple and yet so moving, I’m stopped dead in my tracks every time I hear it. 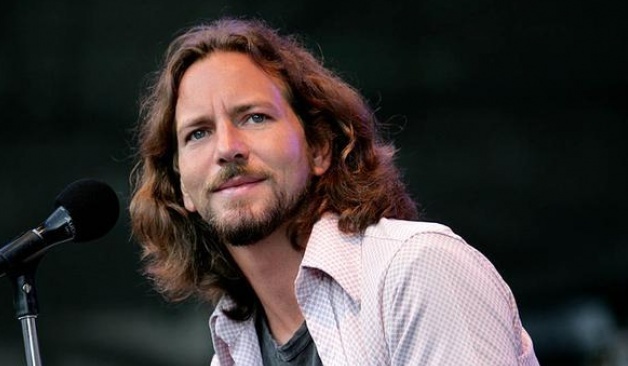 Pure Eddie Vedder Gold! Wish fulfillment resolved. Or is it? That’s the beauty of his song-writing, and the wonder of this song, my Valentine’s Day gift to you.